The project involved the replacement of the former Sandy Gully Bridge with a 70 metre bridge and culverts to improve flood immunity. Approaches to the bridge were replaced on the new alignment. The project also included the upgrade of intersections at East Euri Road, Smiths Road and Bergyl Street. 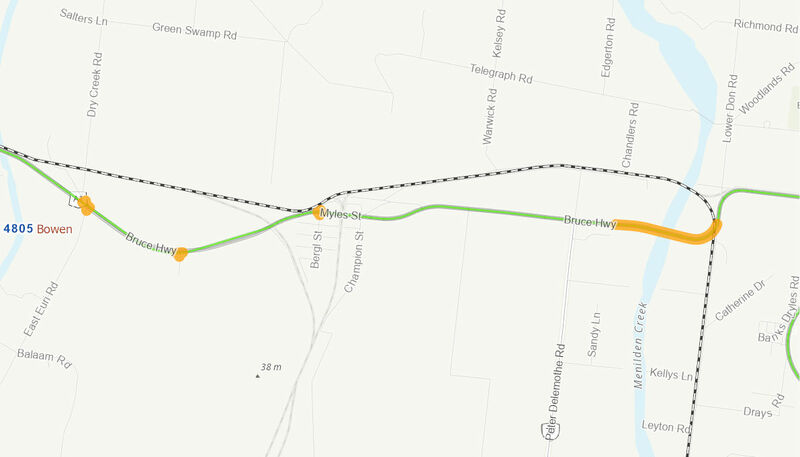 The project will reduce the frequency and extent of road closure at Sandy Gully, improving freight efficiency for north-south inter and intra- state truck movements. The Australian Government committed up to $46 million to the project, in partnership with the Queensland Government. Construction commenced in September 2016 and was completed in December 2017.